Their bassist would try to outdo John, Paul, and George, and get thrown out. What if the Beatles decided not to do the "My Bonnie " recordings with Tony Sheridan? Tony Sheridan wouldn't be well known. There is no way it could last with a bunch of super stars in it. Soon people would be trying to get more power in the group then it would implode. What if all of the Beatles had truly found spiritual enlightenment in India? Then they would be disowned by all the other rock and roll acts. Why would the Beatles be disowned by the other rock and roll acts if they all find enlightenment in India? What if the Beatles broke up in 1966 instead? Then this thread would of not have fallen off for several months. 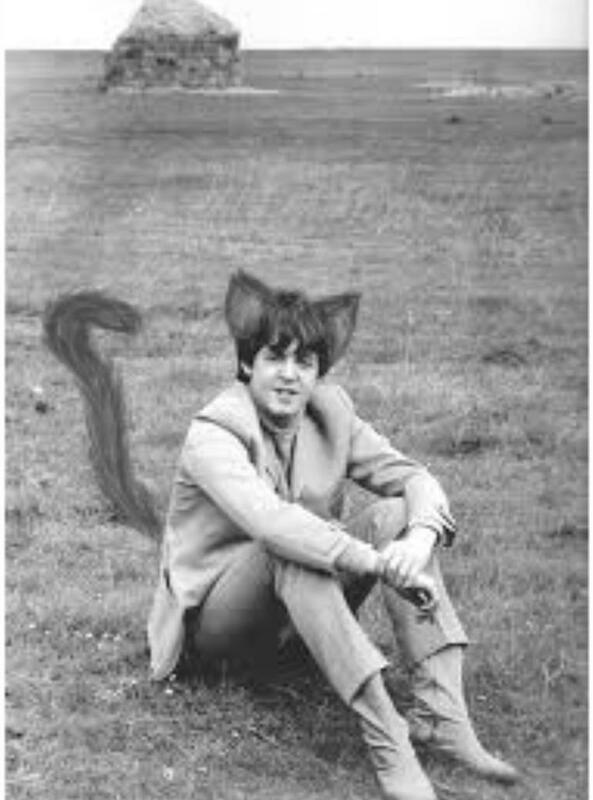 What if during a tour, Paul woke up with cat ears and a tail like in the picture? If the Beatles split in 1966 music would have been far different and Ringo wouldn't have given us such cinema classics as 'Caveman' and 'Candy'. If Paul turned into a cat John would have had a new pet; he liked cats. 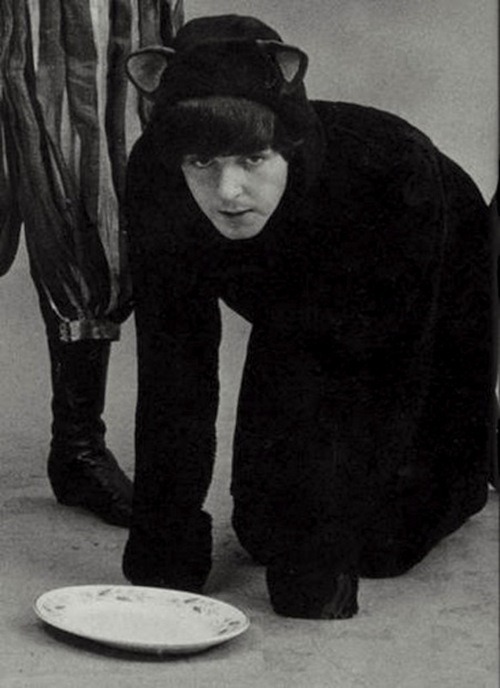 Paul is secretly a cat anyway. What if the Beatles had of went to a far away land in a boat and performed live in 1969? The answer to this largely depends on whether it was before or after John's Jesus comments and the Philippine snub. Paul would take "sick days" and they'd bring in Jimmie Nicol. We would have to suffer through eight more "Paul is dead" hoaxes. We may not have been subjected to Ringo wearing a lady's red raincoat and the cops would not have told them to stop playing. What if The Beatles did buy a Greek island? 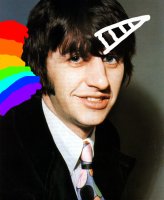 What if before the Apple Rooftop concert, Ringo somehow, someway becomes a unicorn? There should be a way to delete posts. Then the other unicorn would be in trouble for lying that he was the only one. 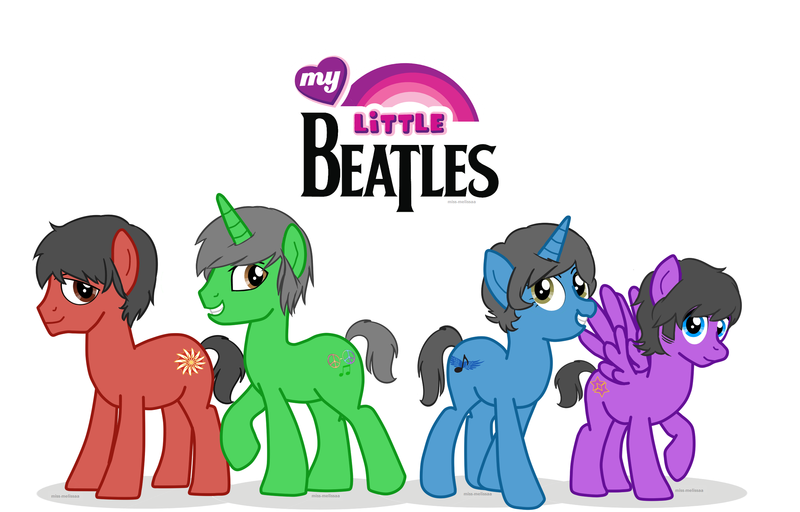 What if all the Beatles were unicorns? @C.R.A., contact a mod linking to the post you want deleted (that you posted) and if feasible we will delete the post (99.9999999% of the time we will happily and quickly but we cannot guarantee it). Well the picture would be inaccurate since they are Ponies and I think that is Ringo Pony and George Pony don't even have a unicorn horn. If their mothers just gave birth to unicorns they would probably freak and the unicorn babies would be taken to some science lab deep in the heart of the UK to be studied for the rest of their lives. What if Ringo had a normal sized noes? Then Ringo's nickname would no longer be "nose", it would probably be "the drummer"
If all the Beatles were unicorns, we can call them The Unicorns, with a drop "I" log, but that can just stay as a nickname. Also, there would probably be a rainbow on almost every album. Some of the best lines in the A Hard Day's Night film would never have been written. Ringo: Do I snore, John? John: Yeah, you're a window rattler, son. Ringo: That's just your opinion. Do I snore, Paul? Paul: With a trombone hooter like yours, it would be unnatural if you didn't. Grandfather: Now, Paulie... don't mock the afflicted. Paul: Ah, come off it, it's only a joke! Grandfather: Aye, it may be a joke to you, but it's his nose. He can't help having a hideous great hooter! And his poor little head, trembling under the weight of it! Then the attention would shift solely to his unicorn horn. What if Pete Best was never kicked out of The Beatles? then The Beatles personalities wouldn't mesh as much as they do.